The Japanese national legislature, known as the Diet, has passed a groundbreaking law that seeks to stop the flow of spam - junk e-mail, to be exact - into Japan from abroad. Violators face fines of up to $285,000 assuming they can be (a) identified and (b) actually made to pay. Good luck with that, guys, always glad to see tax dollars hard at work! Now I really shouldn't scoff; spam is at least an annoyance and at worst a soul-draining, productivity-killing menace that should be banned and the spammers punished. 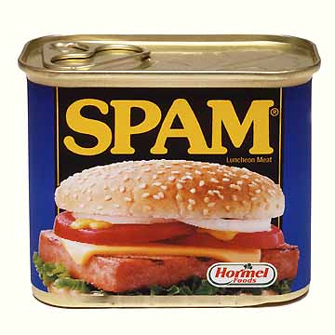 Perhaps by being force-fed Spam, the canned mystery meat. 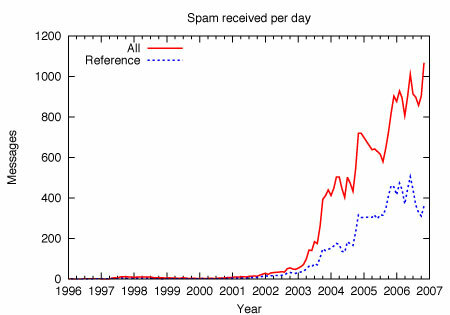 Wouldn't it be wonderful if banning spam were as easy as, well, saying "we banned it"? Japan actually HAS an existing law governing junk (and other) e-mail, known as the Law on the Regulation of Transmission of Specified Electronic Mail. Whew! This latest bill just modifies that law, presumably because it did squat to stem the stream of spam. The revisions, in a nutshell, prohibit the sending of spam to Japanese e-mail addresses unless the addressees had previously agreed to receive them. The bill also permits Japan's Ministry of Internal Affairs and Communications to "ask foreign governments to crack down on spammers in their territories by providing them with the e-mail addresses of the spammers." That should stop the problem dead in its tracks... just kidding, it won't do a darned thing. The number one rule of being a spammer is not to let those you are spamming know who you are or where you're e-mailing from. Have to ask The Wife how to say "duh" in Japanese. Well, we have to at least give the Japanese government props for trying, right? Of course the next step is to make moves against Japanese spammers, not just the foreign devils. Block Sticky Notes Look Awfully Like A Tetris Party! Let's have Fun and Spam Japan!